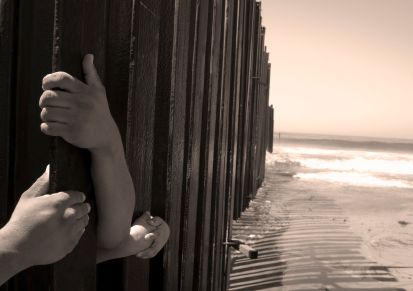 Having a trusted U.S. Immigration Attorney has never been more important. Persons without papers are now found, captured, and deported. People with papers make a mistake and face a possible criminal conviction and possible deportation. Families, many of which have been together for years, are now split. Strong businesses and employers of hard working immigrants are now actively audited, cited and fined by the US government. Having a good immigration lawyer has never been more important. Our Immigration practice helps people through these pressures, and identifies and pursues novel solutions to both simple and complex immigration problems. Let us help you. We represent people in all immigration issues, including helping people: seek legal status, fight removal (deportation), prepare for possible removal due to a criminal conviction (“crimmigration”), apply for, change, and extend visas, apply for visas in other countries (“consular process”), get legal status for other family members (“family adjustment”), apply for Humanitarian Parole (HP), Temporary Protected Status (TPS), DACA, and Asylum, adjust status to lawful permanent residence (LPR), also known as a “green card”, apply for travel documents and work authorization, apply for Naturalization and Citizenship. We also represent and counsel business clients. We help with, among other things, counseling and guiding I-9 compliance issues, applying for investor visas, preparing H1-B visa applications, supporting Student Visa-worker OPT/ STEM OPT opportunities, and other compliance and consultative services. We pride ourselves on providing personalized services, comprehensive research and creative problem solving in this ever-changing practice. Let us tailor a solution for you. Please contact us today for a FREE case evaluation to ensure your legal rights are pursued and protected.